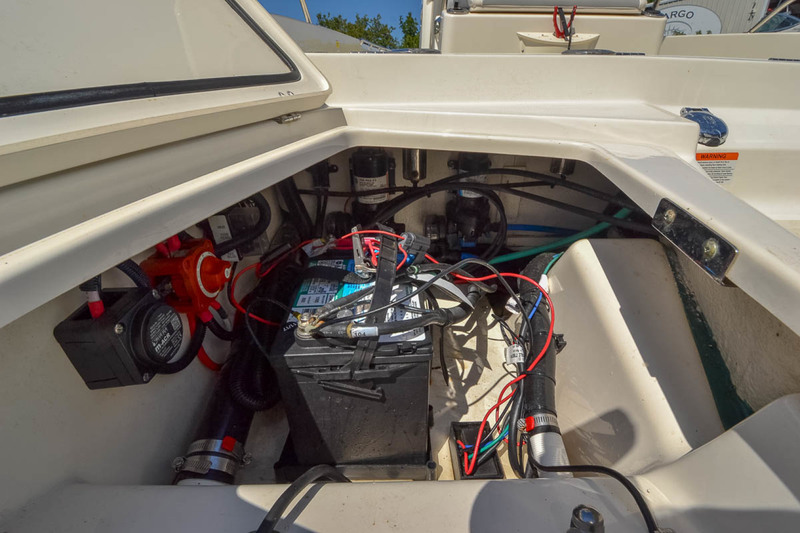 This upgraded Boston Whaler 240 Dauntless has a white painted engine, power pole, jack plate and full cache of electronics and stereo. 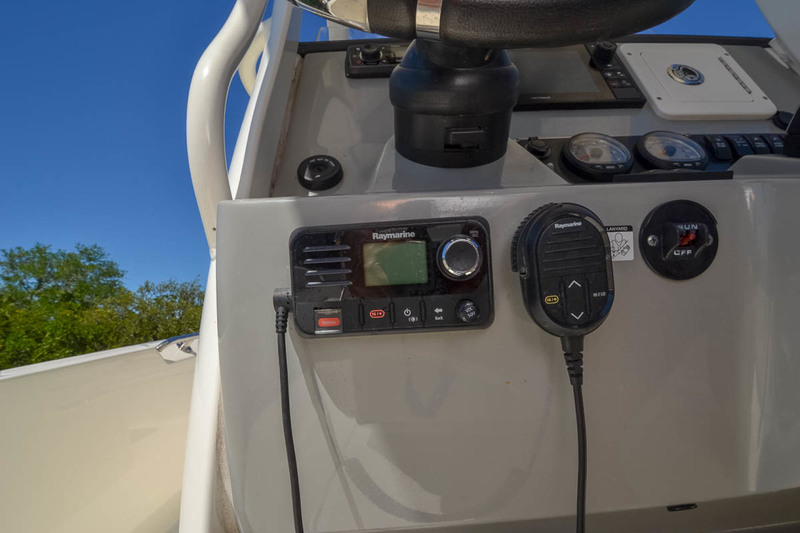 "Multitasker" may as well be the 240 Dauntless's middle name. 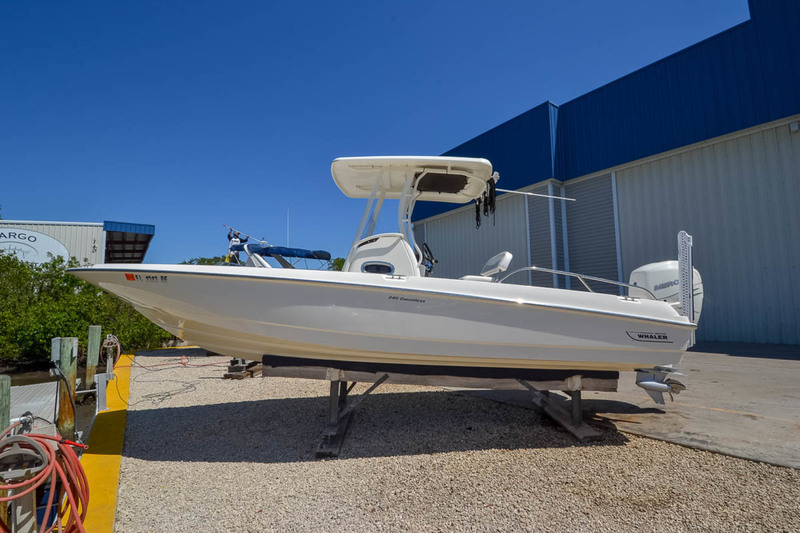 For watersports, fishing and cruising this boat is a perfect blend of form and function. 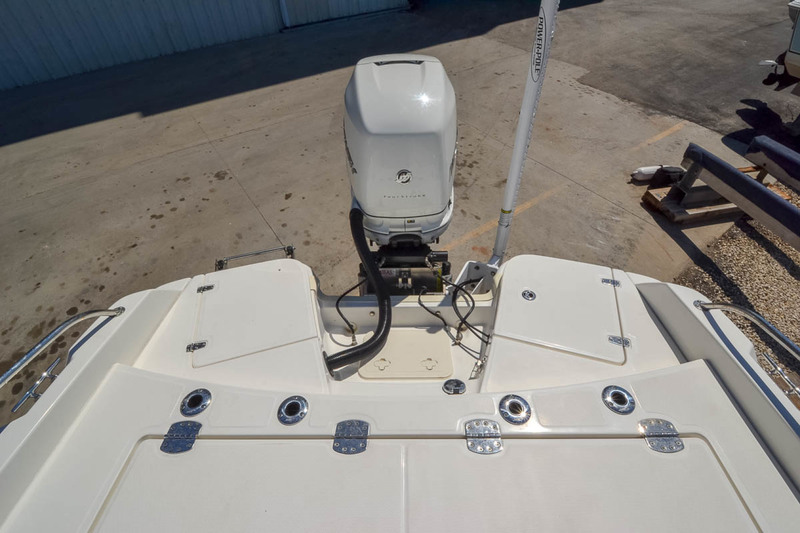 The white painted engine keeps you sleek and uniform. 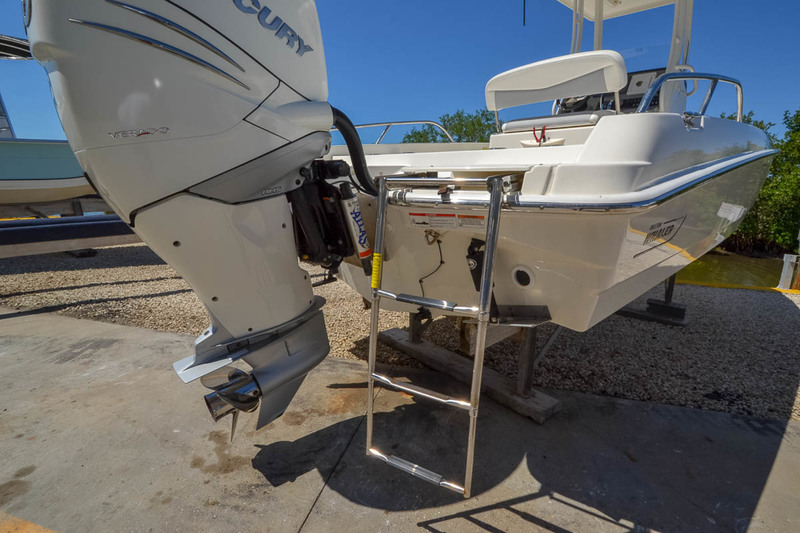 The FourStroke Mercury Verado power fuels the fun. 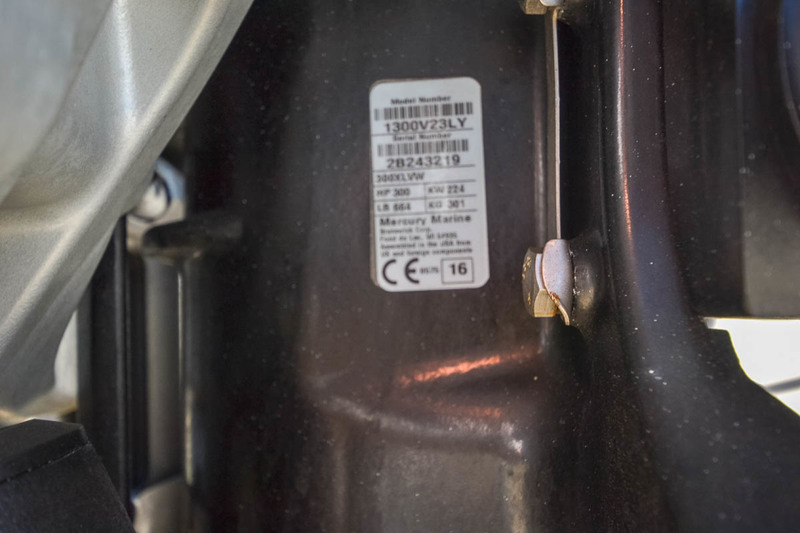 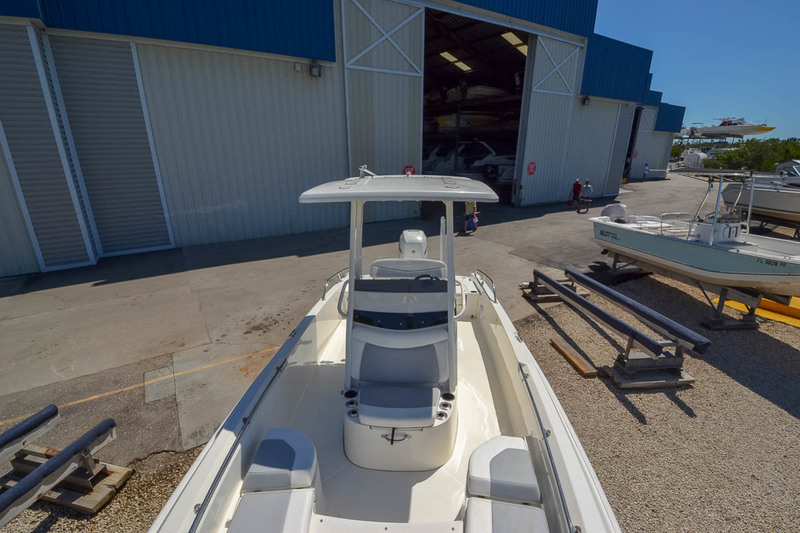 If it's a Boston Whaler fishing boat you're after, an available reversible pilot seat with livewell, raw-water washdown and stainless steel rod holders deliver big angling capability. 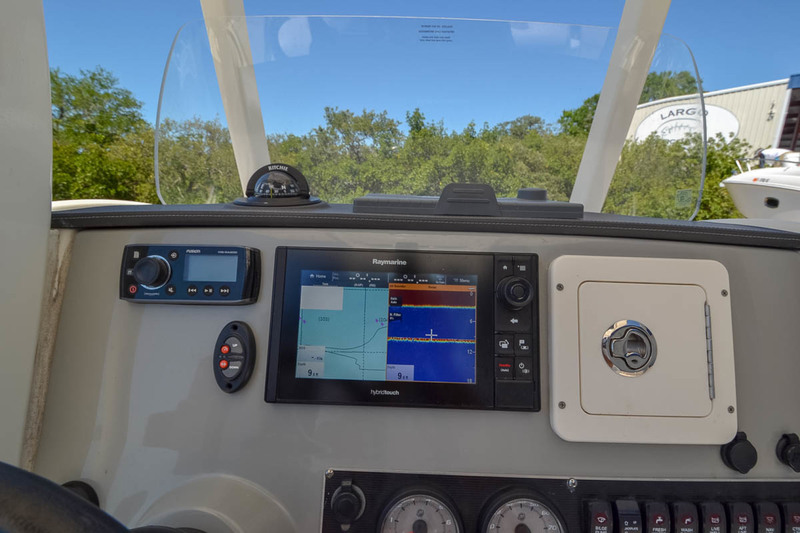 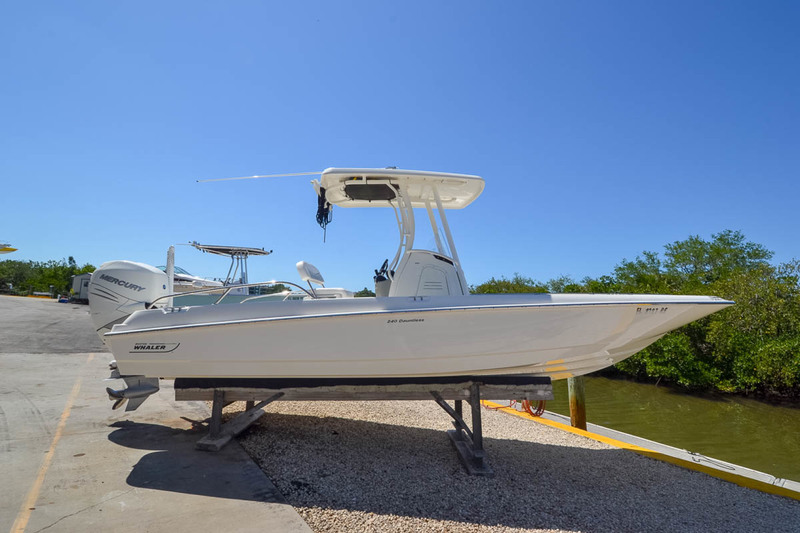 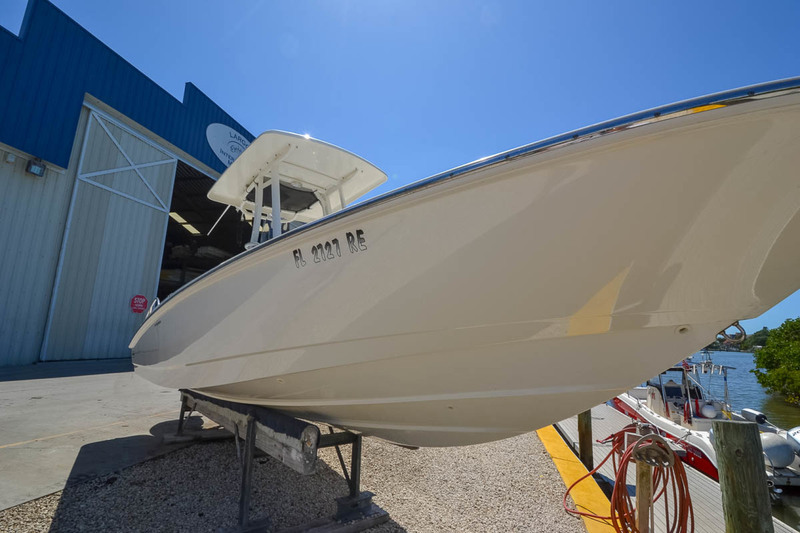 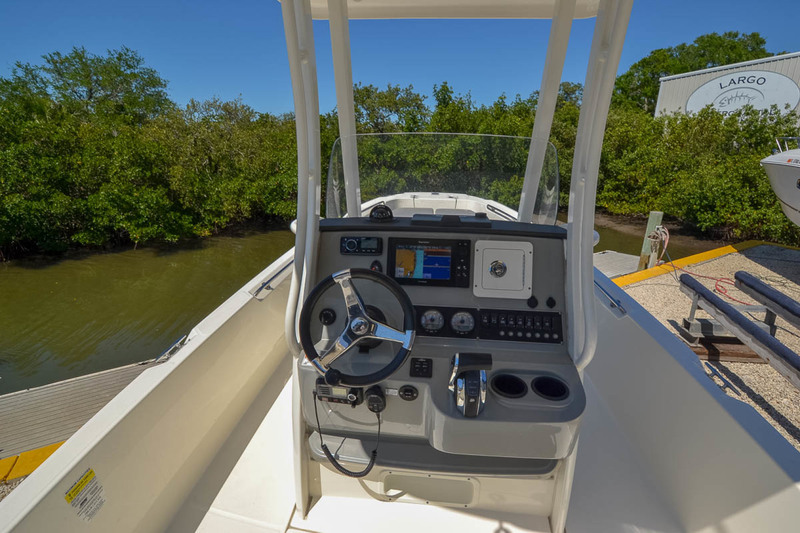 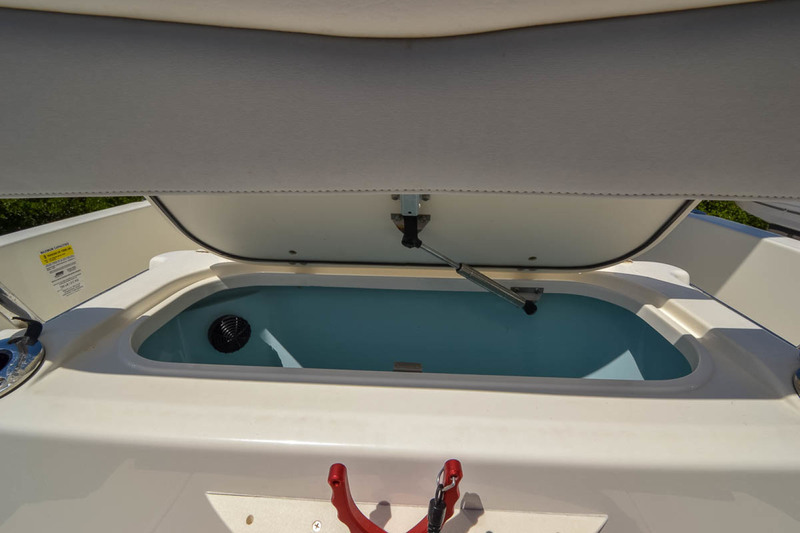 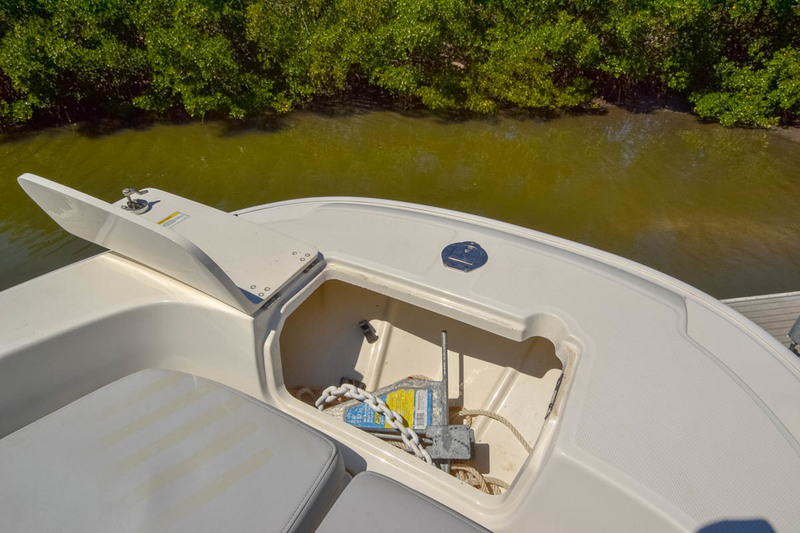 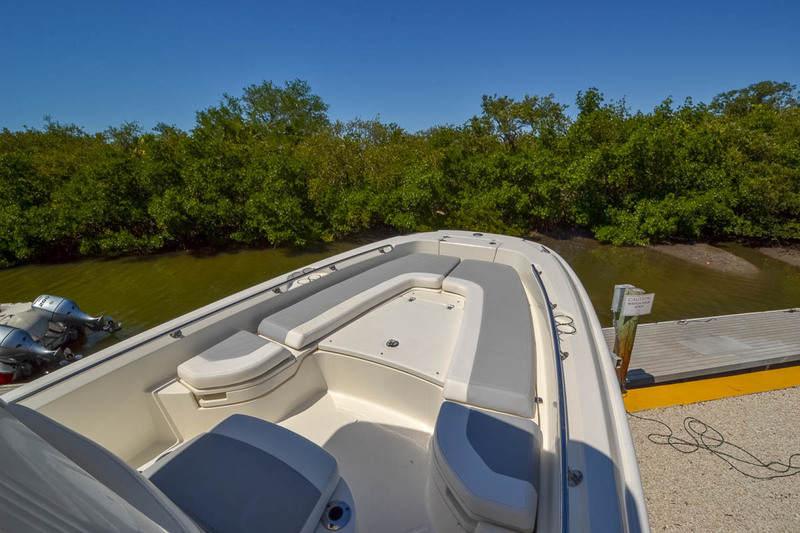 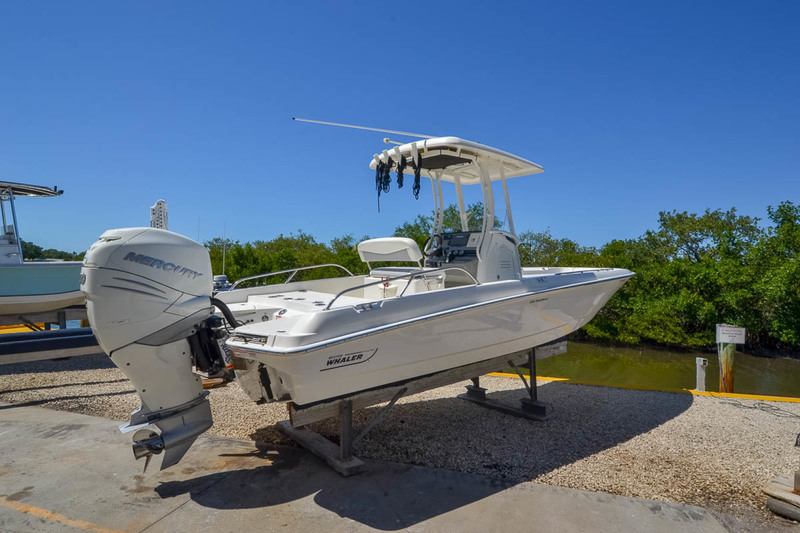 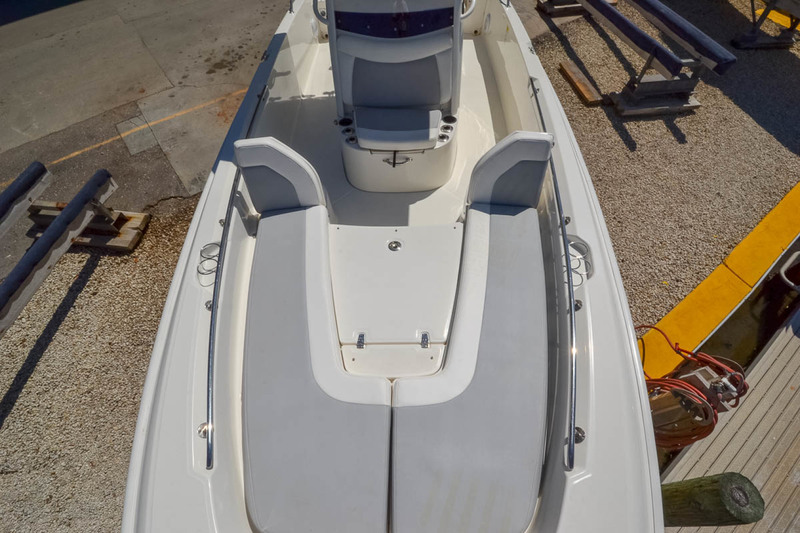 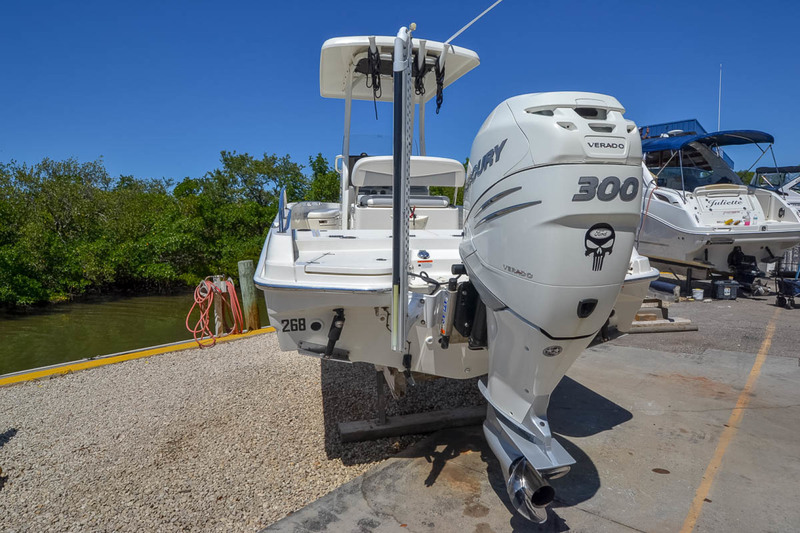 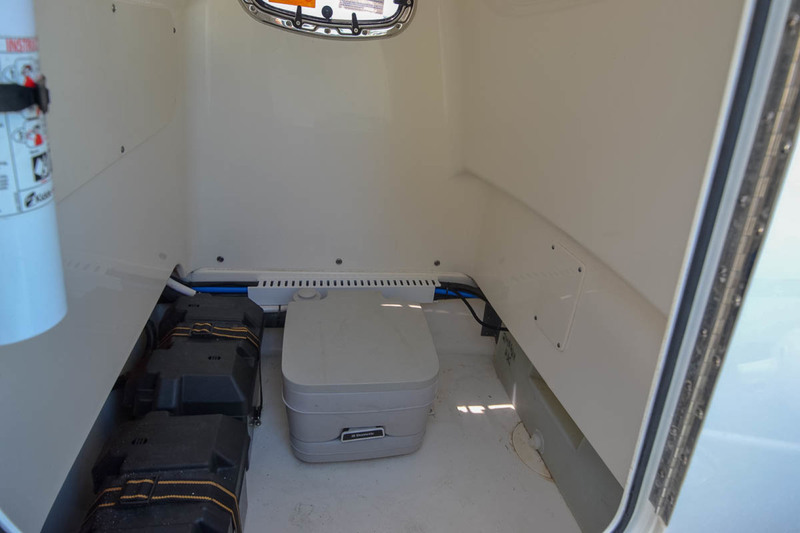 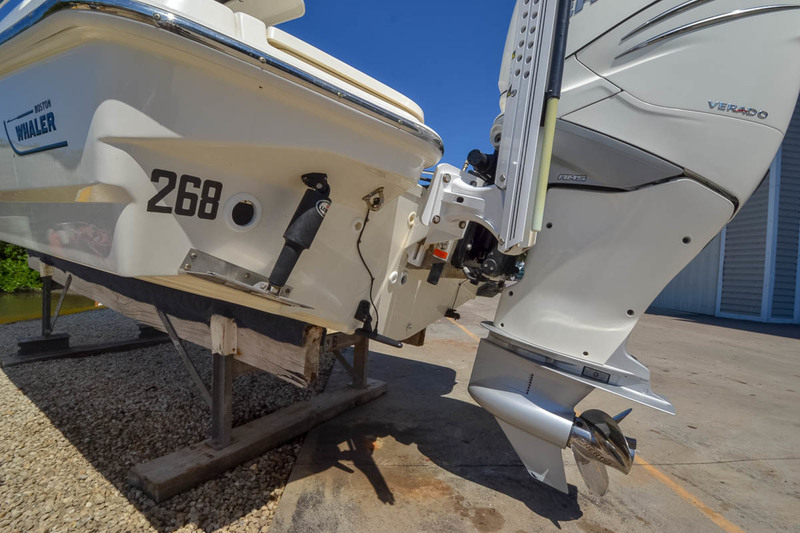 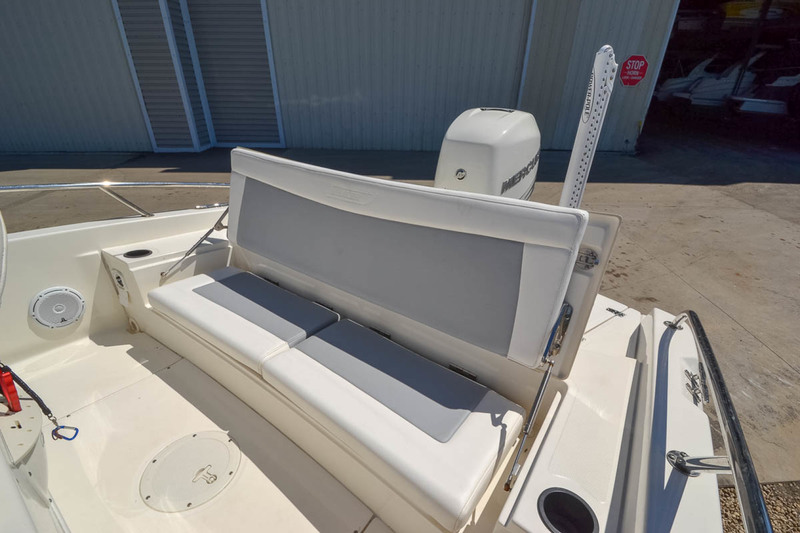 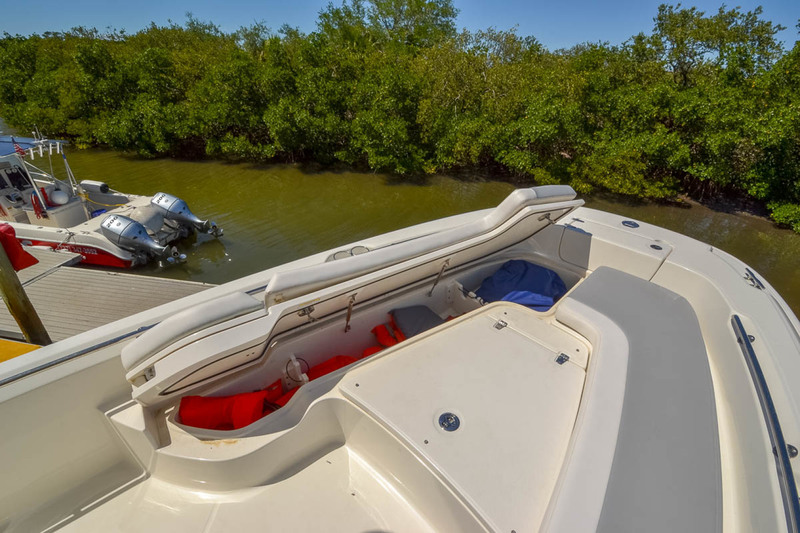 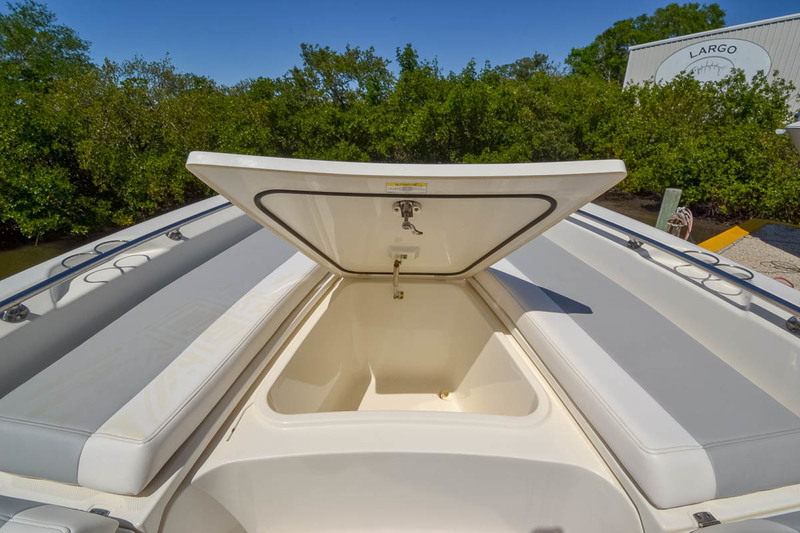 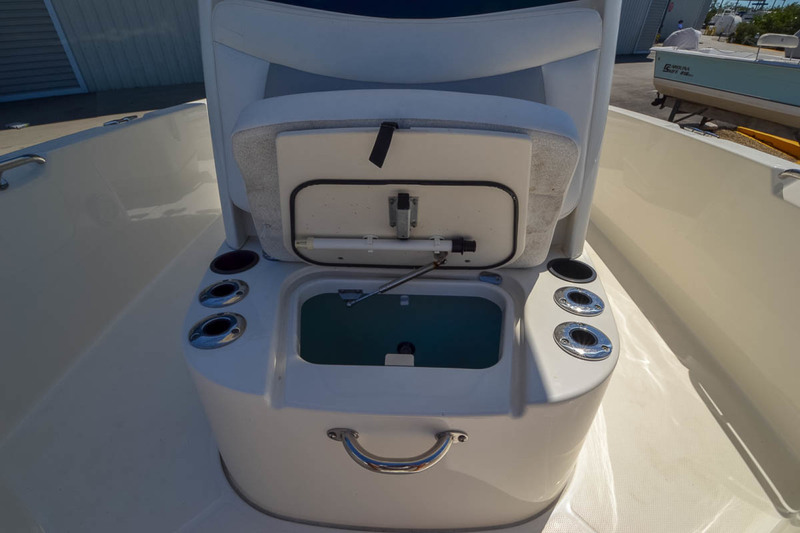 This center console model features loads of huge, well-placed storage spaces and comfortable seating throughout, including Whaler's exclusive flip-up backrests on the bow seats. 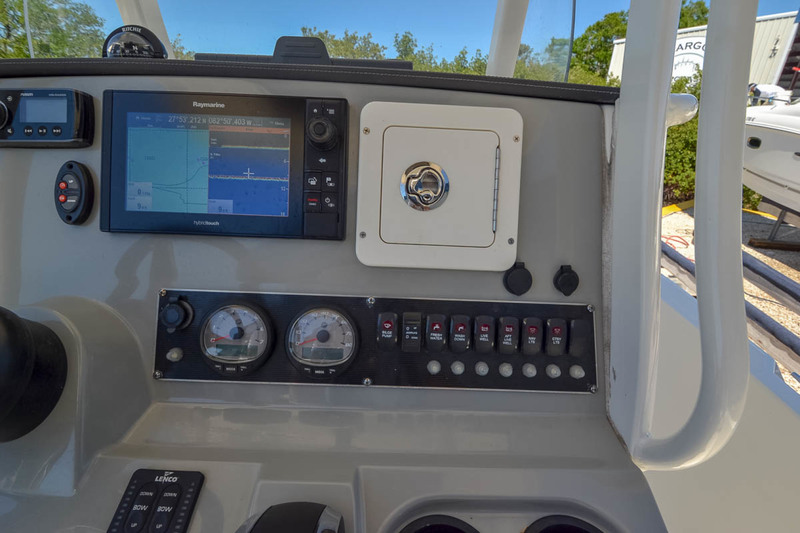 Stainless steel accents and premium amenities like the optional Fusion stereo enhance everyone's enjoyment, and lend it nicely to yacht tendering duties (as does its impeccable reliability). 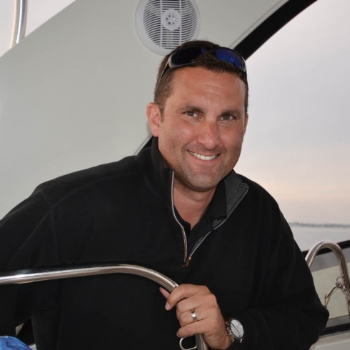 Dauntless lets you choose your own adventure, and enjoy it to the max. 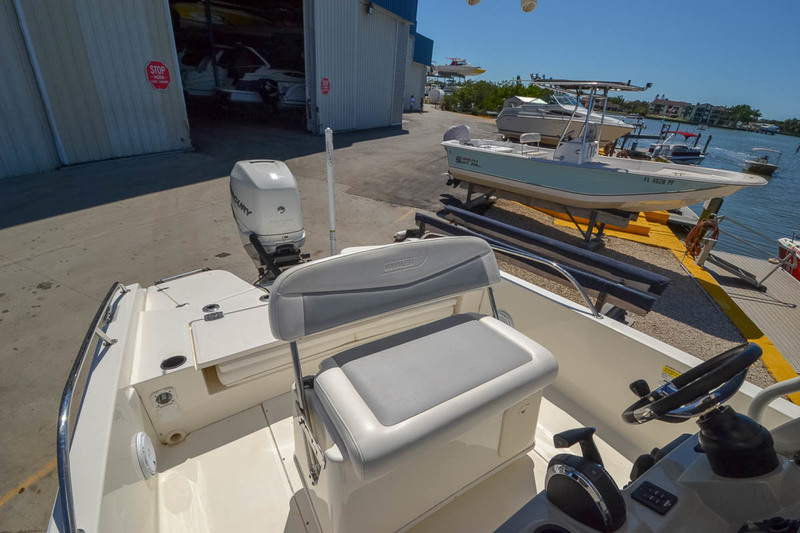 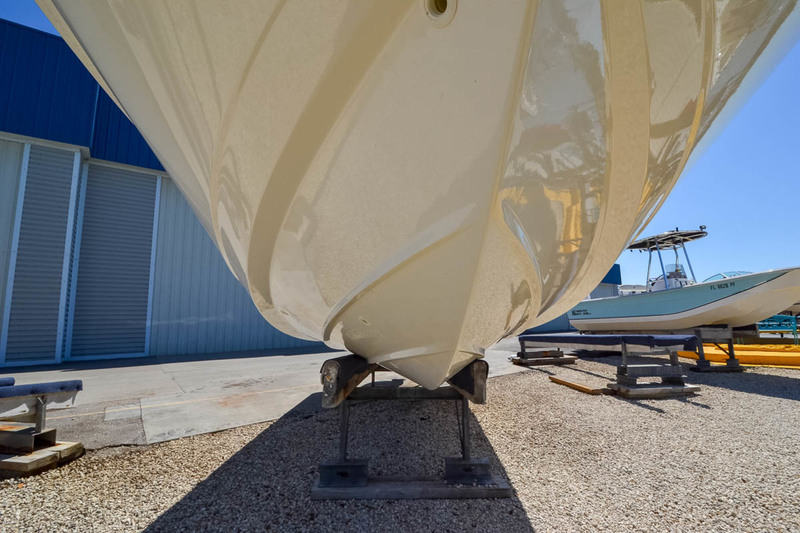 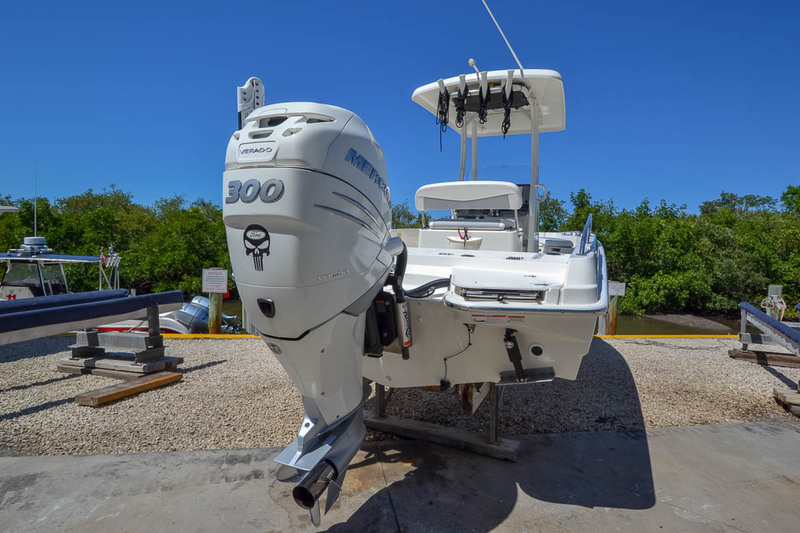 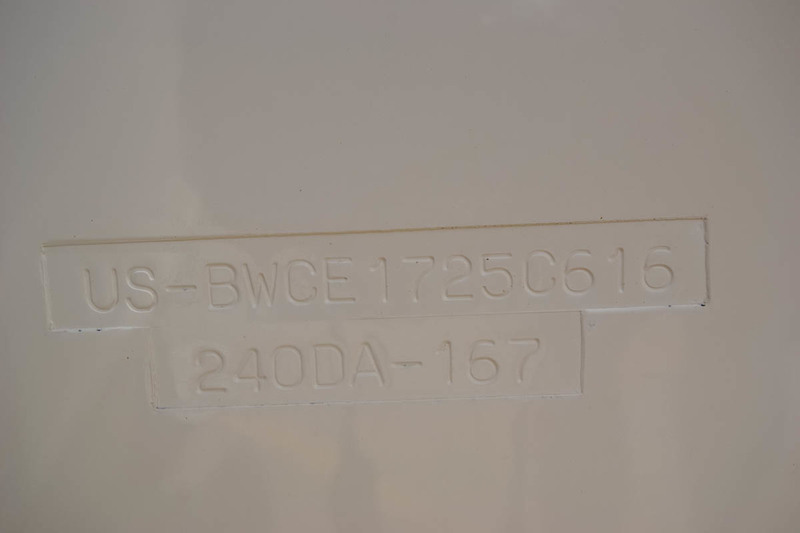 Call today to see this boat in Largo, FL.